Every year, in September, we have a Culture Night in Belfast and this year was the 10th anniversary. The night now attracts over 100,000 people to the various events both in the street and in bars and restaurants. These range from mural painting and street entertainers, that tend to just pop up, to more formal events like choirs singing at the Cathedral and live music in the various bars and restaurants. This year there were over 250 events. 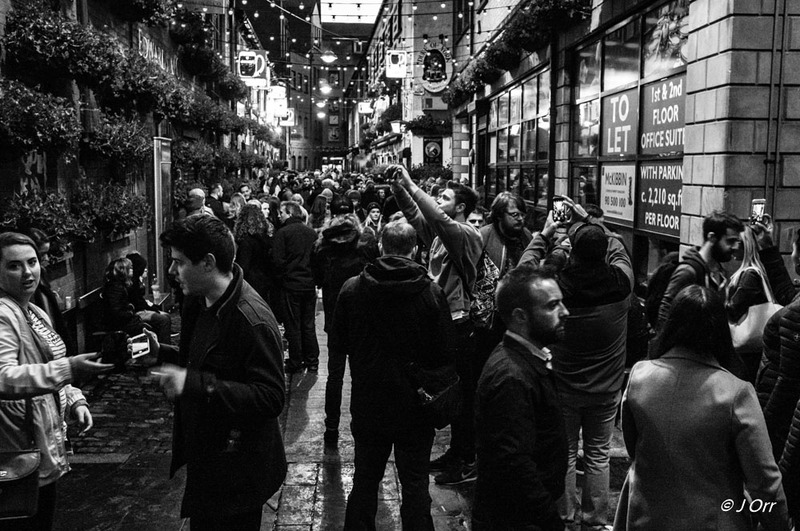 Originally confined to Cathedral Quarter Culture Night now spreads across the city. The night is family friendly and marketed as the biggest event in Belfast’s cultural calendar – put simply Its a Big Night. I think I’ve only missed one year when I was laid up with an injured knee and in the last few years I’ve taken photographs mainly for myself rather than stock. 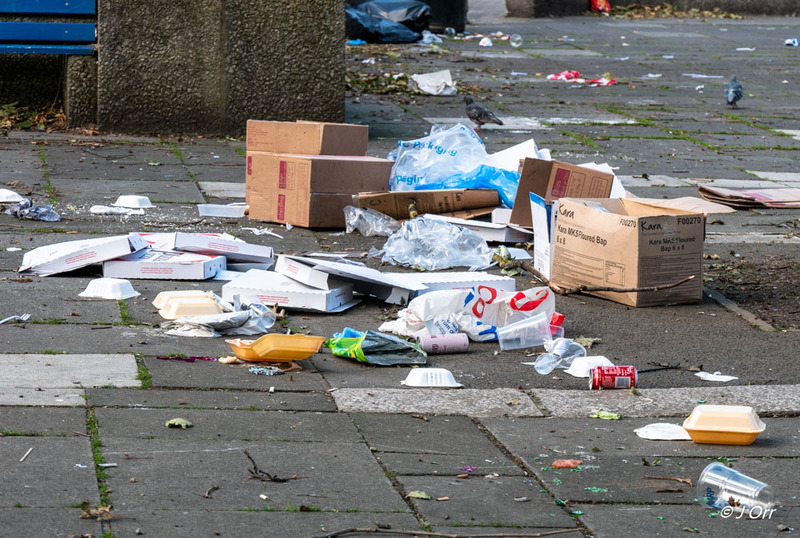 The next day I was back in Belfast and thought, while there, I should grab some pictures of ‘the morning after.’ With over 100,000 people in the streets the night before I expected some breakages and rubbish – lots of rubbish and photographs of rubbish can be good for stock. They suggest pollution, recycling and green issues as well as general environmental challenges to list a few subjects. I readily admit that I didn’t really search for rubbish, I didn’t think I would have too. I happened to be in the city and expected to be able to easily grab a few pics of discarded waste and untidiness while there. These photographs are among the best I got. The streets were surprisingly tidy. 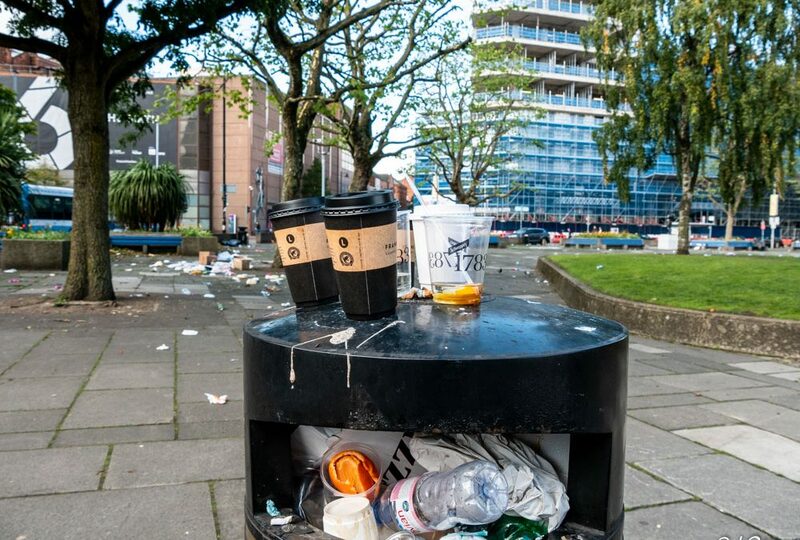 It would seem that Belfast, as well as getting better every year at organising large events, is getting better at clearing away the mess the next morning and getting the city back to normal. I didn’t take many photographs the previous evening but here are a couple. 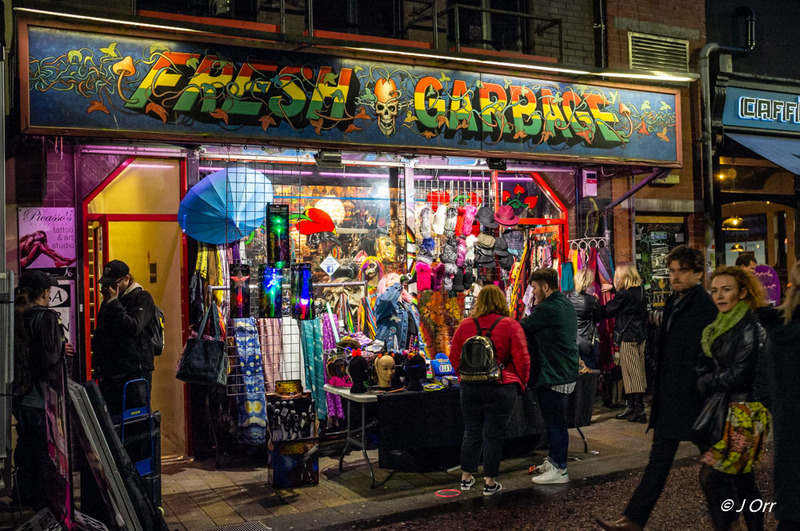 The first is Fresh Garbage, a clothes shop that also sells incense, smoking accessories, jewellery and lots of other stuff. This is The Duke of York Bar in Commercial Court. It sells beer and has the biggest selection of whiskeys I’ve seen.